Yes indeed, whats right? 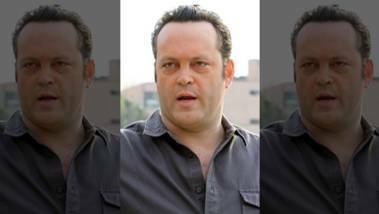 This: Vince Vaughn is right about guns (and was brave to be so honest) | WHAT'S RIGHT for the USA ! Second Amendment By Dr. John R. Lott Jr. Things are definitely changing when it comes to the gun debate in America. 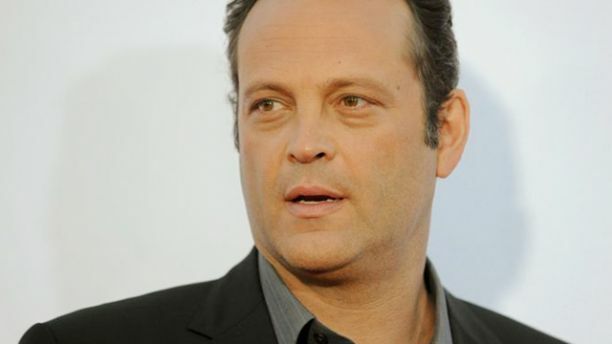 "True Detective" star Vince Vaughn’s recent comments on mass shootings and killers looking for places “to slaughter defenceless human beings” might be considered controversial coming from someone from Hollywood, but his ideas are becoming acceptable throughout the rest of the country. "I support people having a gun in public full stop, not just in your home. We don’t have the right to bear arms because of burglars; we have the right to bear arms to resist the supreme power of a corrupt and abusive government. It’s not about duck hunting; it’s about the ability of the individual. It’s the same reason we have freedom of speech. It’s well known that the greatest defense against an intruder is the sound of a gun hammer being pulled back. All these gun shootings that have gone down in America since 1950, only one or maybe two have happened in non-gun-free zones. Take mass shootings. They’ve only happened in places that don’t allow guns. These people are sick in the head and are going to kill innocent people. They are looking to slaughter defenseless human beings. They do not want confrontation. In all of our schools it is illegal to have guns on campus, so again and again these guys go and shoot up these f***ing schools because they know there are no guns there. They are monsters killing six-year-olds." Vaughn highlighted a simple notion in his interview: that mass public killers want to commit suicide in a way that will bring them attention. And they know that the more people they can kill, the more publicity they will get. They also know that if they launch their attack where people carry guns, they will quickly be stopped. Vaughn’s comments highlight a simple notion: Mass public killers want to commit suicide in a way that will bring them attention. And they know that the more people they can kill, the more publicity they will get. They also know that if they launch their attack where people carry guns, they will quickly be stopped. In support of Vaughn’s point, killers often openly talk about their desire to attack where guns are banned. Last June, Elliot Rodger, who killed six people in Santa Barbara, Calif., explained his own choice. In his 141-page “Manifesto,” Rodger turned down alternate targets because he worried that someone with a gun would cut short his killing spree. That same month, Justin Bourque shot to death three people in Canada. His Facebook page made fun of gun bans, with pictures of defenseless victims explaining to killers that they weren’t allowed to have guns. Of course, there are numerous other examples such as the Columbine killers opposing the concealed carry law that was then working its way through the state legislature. The bill would have allowed people to carry permitted concealed handguns on school property. The killers timed their attack for the very day that final passage of the law was planned for in the legislature. 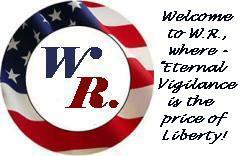 Not surprisingly, Vaughn’s remarks quickly drew the ire of such outlets as the liberal Media Matters, which relied on error filled “research” from Michael Bloomberg’s gun control groups to assert that these killers don’t care about whether their victims can defend themselves. Moreover, Bloomberg’s groups not only misread news articles, but they also count places where only police are allowed to carry guns or where only tenths of thousandths or hundredths of thousandths of one percent of citizens are allowed to carry guns as places where civilians are allowed to protect themselves. For example, in Boston, while concealed carry permits are in theory issued, even retired police can’t get a permit to carry. in Los Angeles during 2012, there were only 240 concealed handgun permits out of 7.6 million adults and the adults that got the permits where hardly your average citizens, being very well connected friends of county Sheriff. Yet, Bloomberg’s groups want to declare that public areas in Boston or Los Angeles were not gun-free zones. 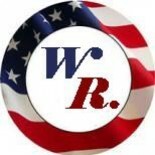 When Vaughn was asked about guns in schools he noted: “You think the politicians that run my country and your country don’t have guns in the schools their kids go to? They do. And we should be allowed the same rights.” And here, too, things are changing. Just this last weekend, Texas moved to become the twelfth state to mandate that public universities allow permitted concealed handguns on campus. Twenty-two other states leave it up to the schools to decide. Vince Vaughn isn’t alone in Hollywood. But for the actor to speak out so forcefully is surely a brave thing to do. John R. Lott, Jr. is a columnist for FoxNews.com. He is an economist and was formerly chief economist at the United States Sentencing Commission. Lott is also a leading expert on guns and op-eds on that issue are done in conjunction with the Crime Prevention Research Center. He is the author of eight books including "More Guns, Less Crime." His latest book is "Dumbing Down the Courts: How Politics Keeps the Smartest Judges Off the Bench" Bascom Hill Publishing Group (September 17, 2013). Follow him on Twitter@johnrlottjr. This entry was posted on July 19, 2015 by ADMIN.